Gianni Versace (born in Reggio Calabria, Italy, died in Miami Beach, Florida, U.S.) was a famous Designer from Italy, who lived between December 2, 1946 and July 15, 1997. He became 50 years old. Gianni Versace was a charismatic and well-known Italian fashion designer. Influenced by Andy Warhol and inspired by modern art he is considered one of the most colorful and talented fashion creators in the late 1900's. 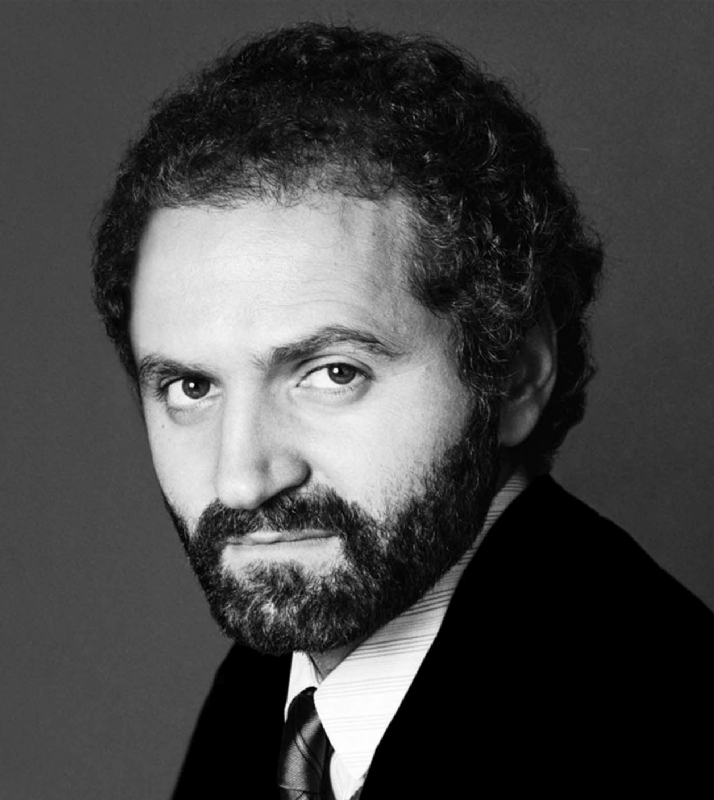 Versace studied architecture before he moved to Milan (when he was 25 years old) to work as a fashion designer. In 1978 he presented his first women's collection in its own name at a fashion show in Milan. In 1982 he won the first of a long series of awards such as "best fashion designer" for his winter collection 1982/1983. Versace also collaborated with the world-famous opera house La Scala in Milan and designed costumes for ballets. Versace also designed clothing and costumes for numerous films and television series including Judge Dredd, showgirls and Miami Vice. He used celebrities like Madonna, Bon Jovi and Tina Turner as models both on the catwalk and in their ads. Versace was shot down and killed 15 July 1997 outside his home in Miami Beach, Florida. Eight days later, the suspect found dead in a boat house in Miami after taking his own life. Versace fashion empire, who at his death was worth $ 807 million, is managed today by his sister Donatella Versace. He is born under the zodiac sagittarius, who is known for Philosophical, Motion, Experimentation, Optimism. Our collection contains 7 quotes who is written / told by Gianni. "You dress elegant women. You dress sophisticated women. I dress sluts"
"My dream was always to be a composer, but fashion came very easily"
"In the past, people were born royal. Nowadays, royalty comes from what you do"
"I try to contrast; life today is full of contrast... We have to change"
"For me, the summer will be pure gray - mother-of-pearl gray, very pale gray. To me, this is the big statement for summer. Then we have light blue, light turquoise, lots of pink"
"I like the body. I like to design everything to do with the body"
"That is the key of this collection, being yourself. Don't be into trends. Don't make fashion own you, but you decide what you are, what you want to express by the way you dress and the way to live"